What are the trigonometric functions and how did the sine function allow Indian astronomers to prove that the Sun was 400 times farther from Earth than the Moon? Sine, cosine and tangent are geometric functions programmed into most calculators, giving you their values at the touch of a button. But centuries before this technology existed, Indian mathematicians calculated their values by hand. To answer mind-boggling astronomical questions! Sine, cosine and tangent are trigonometric functions based on the dimensions of a right-angled triangle. As an angle of the triangle changes, the ratios between the triangle's sides also change. Plotting the angle and these ratios on a graph creates a trigonometric wave. Trigonometric functions allow mathematicians to calculate unknown angles or lengths in the triangle. The sine function is used to calculate the ratio between the side opposite the angle and the longest side, called the hypotenuse. If the opposite length is 1 and the hypotenuse length is 2. The value of sine is a half and the angle (a) can be worked out from the graph. The other two functions use different ratios in the triangle. The cosine function calculates the ratio of the adjacent side and the hypotenuse. And the tangent function calculates the ratio of the opposite side and the adjacent side. Ancient mathematical texts which charted the motions of the planets, dating back to the 5th century, contain the first known reference to the sine, cosine and tangent functions. Before calculators, Indian mathematicians would have relied on graphs or tables to calculate the values. 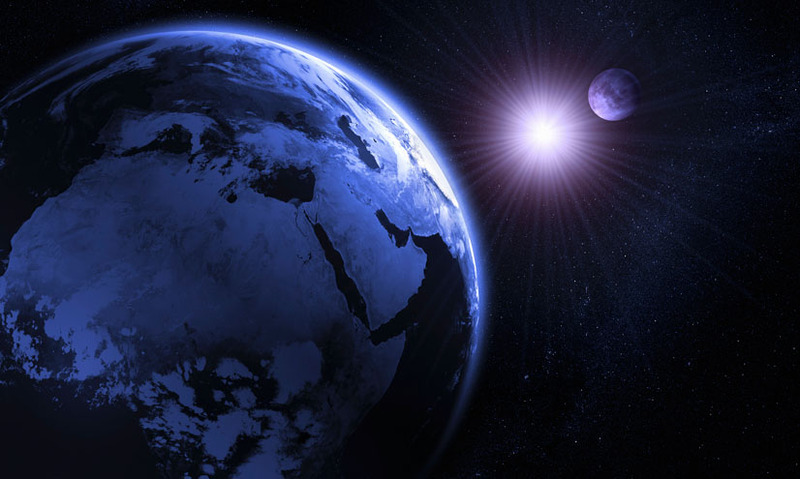 Using them, Indian astronomers could calculate the comparative distance between the Earth and the Moon and the Earth and the Sun. First, they waited for a half moon to create a right-angled triangle. They then measured the angle between the Sun and a point on Earth. It was one seventh of a degree. The sine function for that angle gives a value of 1 over 400. 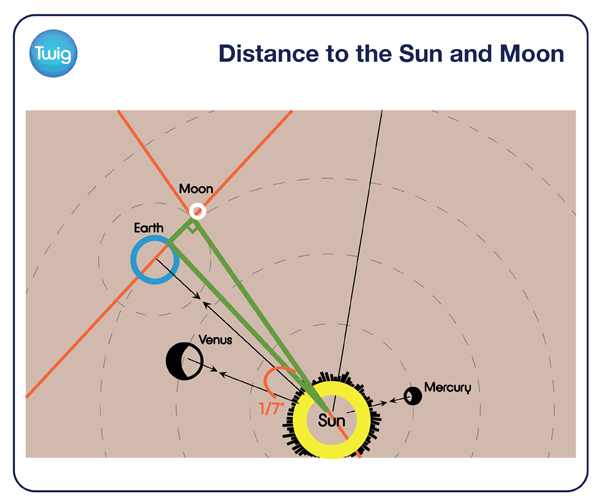 This told mathematicians that the Sun is 400 times farther from the Earth than the Moon is. It's a measurement that stands true to this day!